With the interactive tuner, you can tune components or circuits just the way you do it on a test bench. 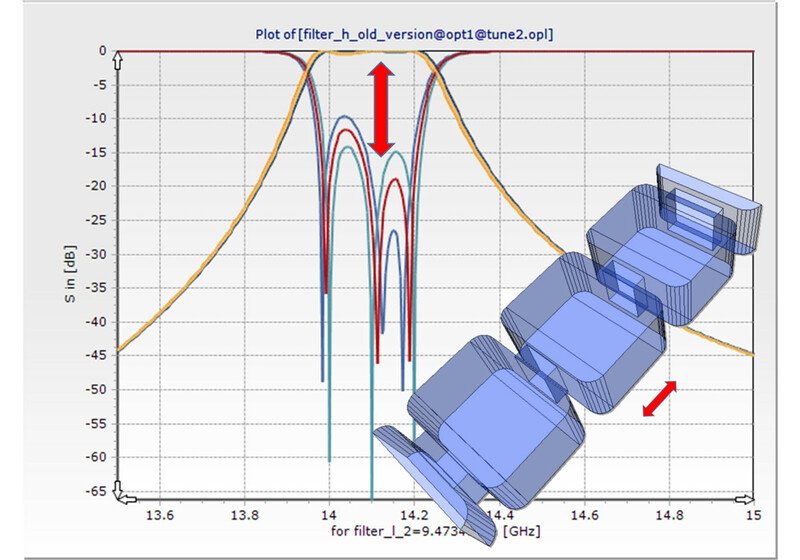 Analyzing a unit for various settings takes very little time, especially when non-tuned elements are buffered. 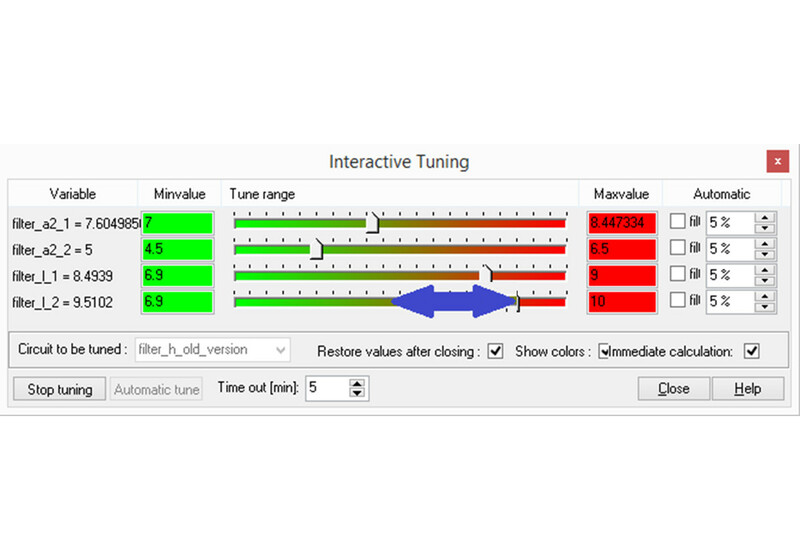 When using this feature the user can take advantage of his own “bench tuning" experience.